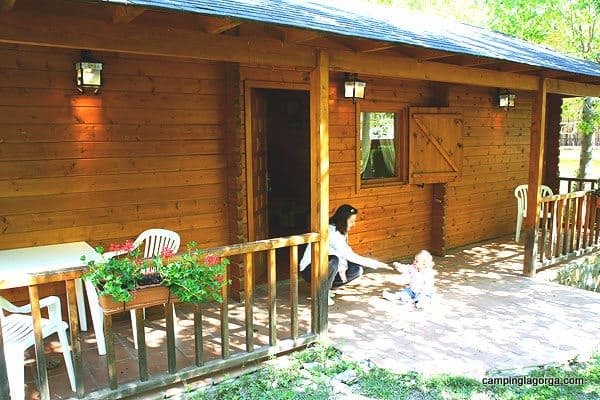 The Camping La Gorga provides fully equipped bungalows, enabling you to enjoy the nature just like at home. 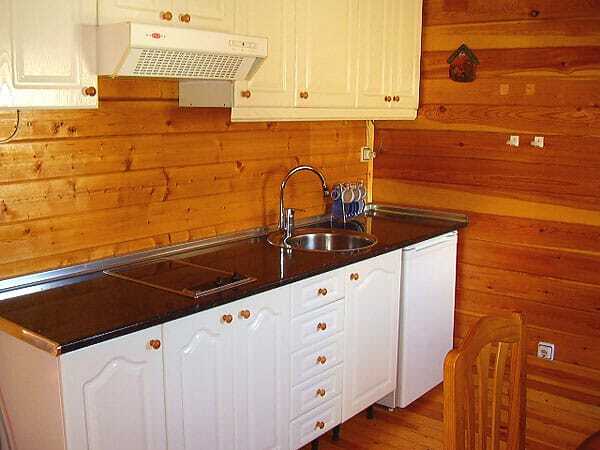 These bungalows are wood cabins for 5 persons with a fully equipped bathroom, combined living-room/kitchen, 1 bedroom with double-bed and 1 bedroom with bunkbed and a single bed, covered terrace with tables and chairs. Parking in front of the bungalow. 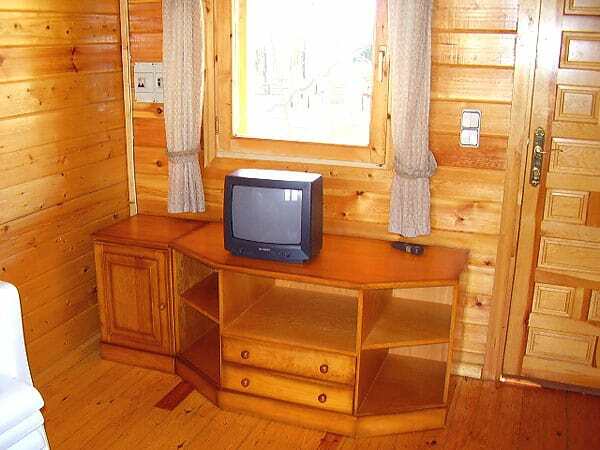 Our facililities also include a bungalow with a 6/7 capacity. 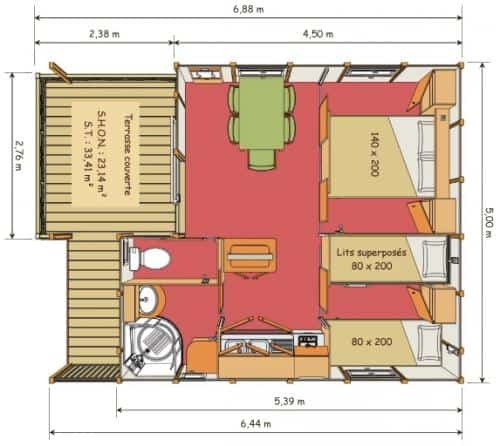 It features a bedroom with a double bed, matresses, a living room-kitchen with a sofa bed for 2 people and another sofa bed for single use. 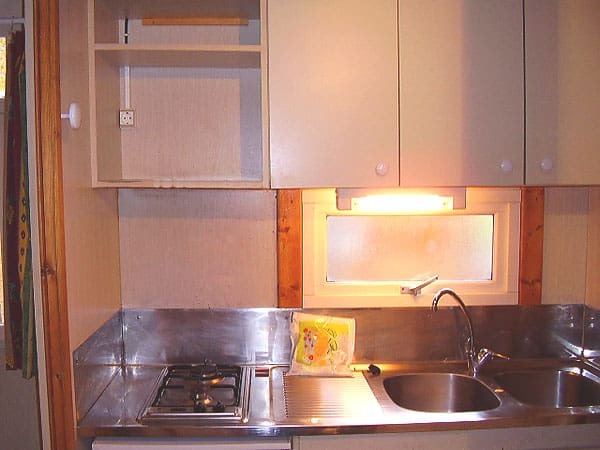 Fully equipped kitchen featuring a ceramic hob, a fridge, crockery. 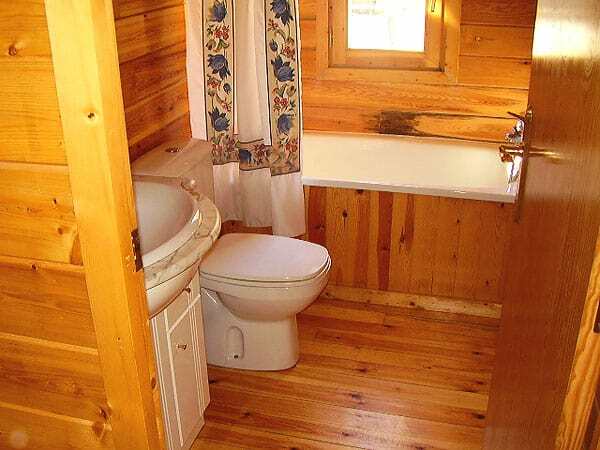 Complete bathroom with bath tube. 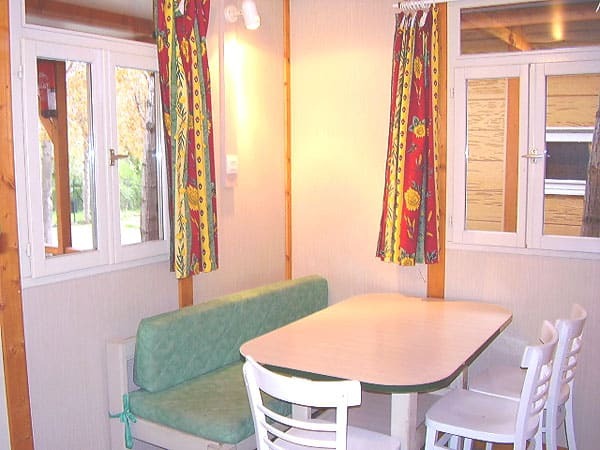 Outdoor terrace featuring a table, chairs and a parking place in front of the bungalow. 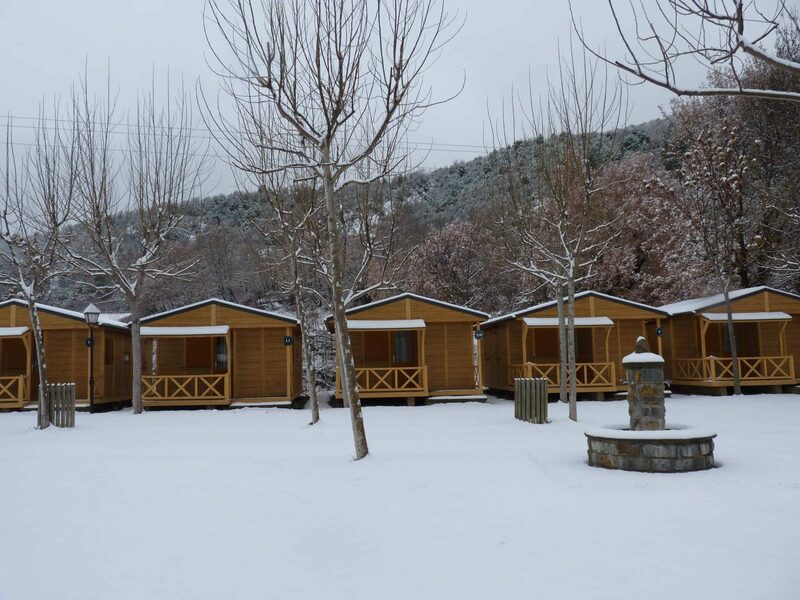 Furthermore the cabins have heating, blankets, bedspreads, gas cooker, water heater, refridgerator, microwave oven, crockery, TV. 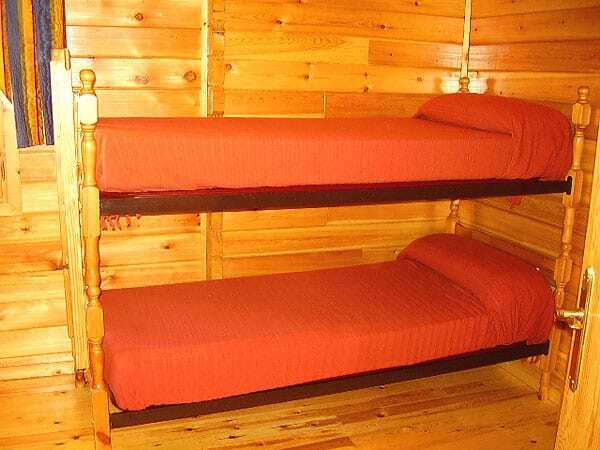 You should bring sheets and towels. 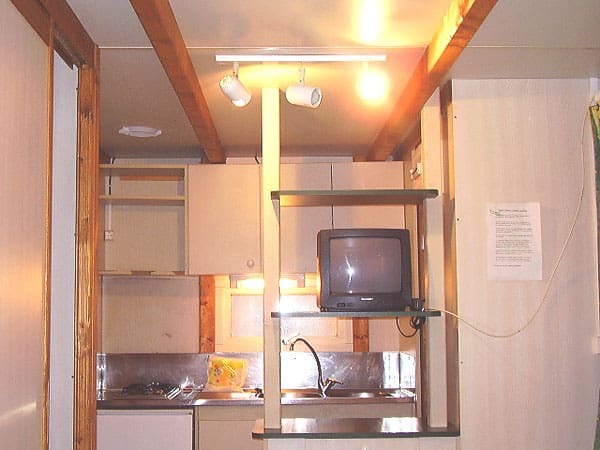 Reservations during long weekends, July and August should be confirmed by paying a deposit which rests as a down payment. 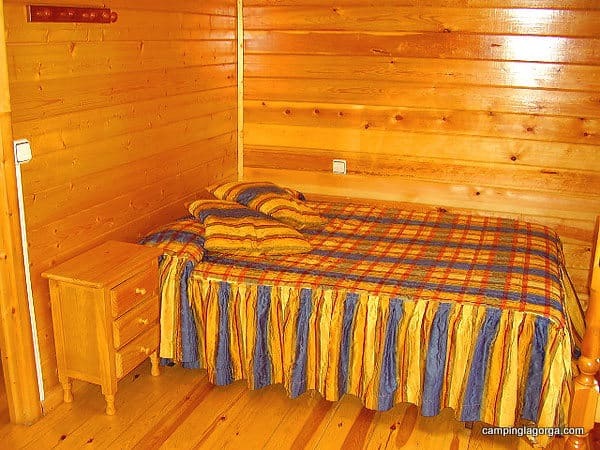 This deposit can be paid by money order or bank transfer to a bank account number provided by the Camping. 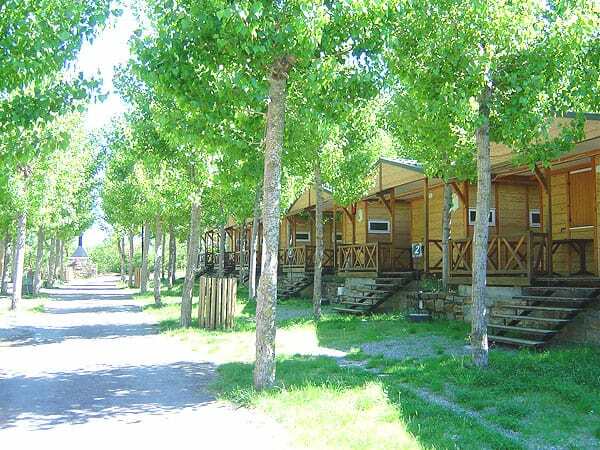 The booking will be confirmed at the time that the payment of the deposit becomes effective and received an email confirmation of the Camping La Gorga. 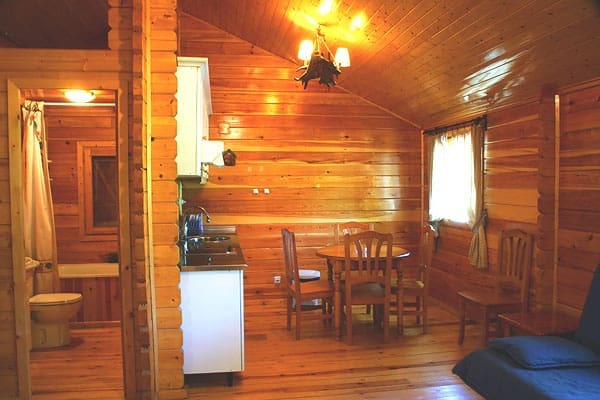 On the day of arrival the bungalow is available from 15:00 hours. 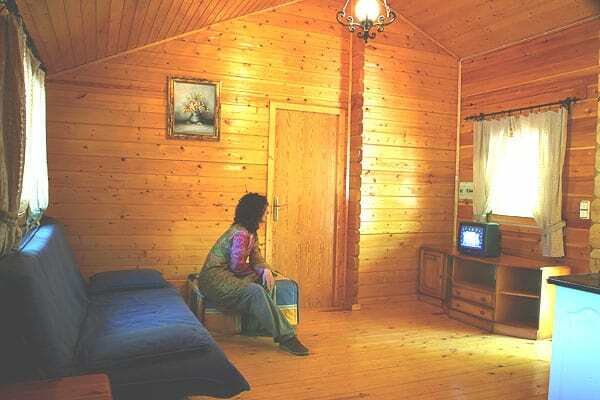 The day of departure must be let free the bungalow before 10:00 hours and under the same conditions of order and cleanliness in which it is found. 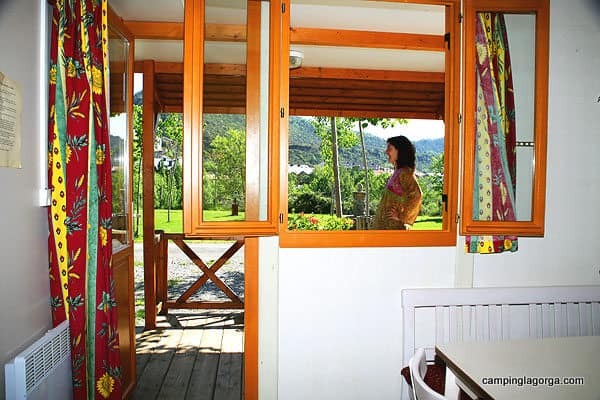 If you wish, may stay in the campsite until 20:00 and use all its facilities free of charge. 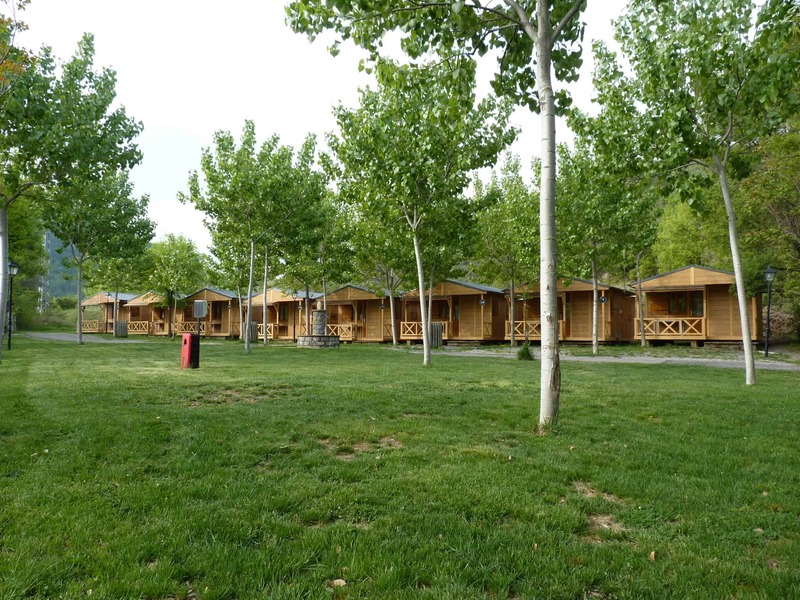 If you cancel your booking more than 7 days prior to the date of entry, the campsite will return all the deposit less €30 of expenses of reservation processing. 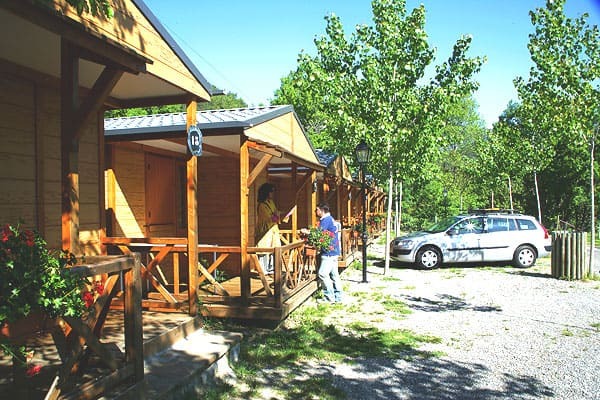 If you cancel your reservation less than 7 days prior to the date of entry, the campsite will keep the total of the deposit can be redeemed for another stay during the current year. 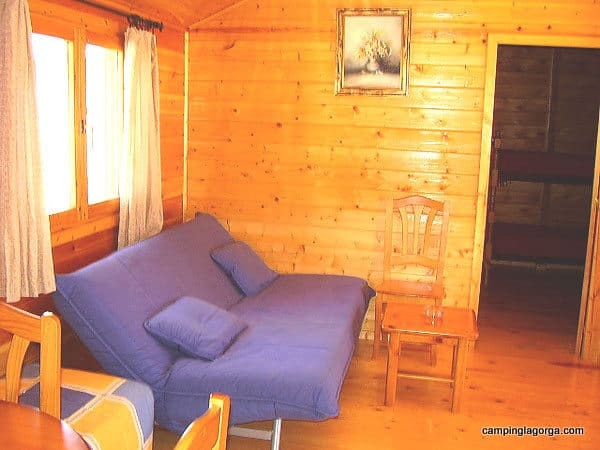 Camping the Gorga also reserves the right to not return this deposit if find defects in the bungalow at the end of your stay.